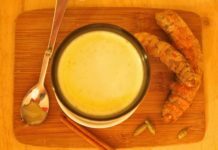 Homemade Spiced Turmeric Milk is a Miracle Drink That Improve Health. Turmeric and milk have natural antibiotic properties. 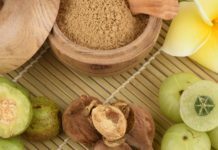 The inclusion of these two natural ingredients in your everyday diet can prevent diseases and infections. Turmeric, when mixed with milk, can be very beneficial for a number of health problems. Turmeric Milk is a Healing Beauty Drink. We know the benefits of milk, we know the turmeric benefits. 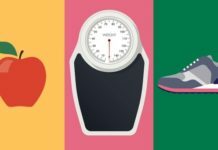 When we combined both, It’s often used to treat a wide variety of health problems and to promote good health in general. Turmeric Milk is a healthy drink and popular home remedy to treat small to major health conditions. It’s traditionally used in Indian households. For treating specific diseases and its a good tonic for general health. This drink is easy to prepare. Turmeric milk is an excellent drink to improve general immunity against a serval diseases. It is especially useful in the cold, cough and flu. The antiviral and antibacterial properties of turmeric make hot turmeric milk one of the best home remedies to treat cold and cough. Sip of hot turmeric milk will treat the symptoms of common cold and cough within a day or two. 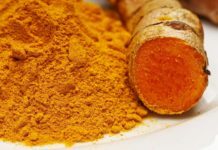 Turmeric has anti-microbial. It can effectively treat various respiratory problems like asthma, bronchitis, lung congestion and sinus. This drink can easily treat bacterial infections and viral infections. Turmeric milk is also good for the stomach. It helps in the digestion process. It can be used to treat diarrhea and indigestion but for this you need to use low fat milk or skimmed milk. High fat milk can aggravate the symptoms of diarrhea. Turmeric Milk can also provide us healthy and glowing skin. It works as soothing mask or lotion to reduce redness of the skin or patches, which are very common skin problems. 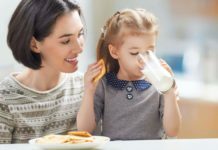 It is a known fact that milk being rich in calcium is good to get strong and healthy bones. Plus, Turmeric also has bone-strengthening properties that can help to strengthening bones. Drinking warm milk at bedtime is a well-known remedy. When you add turmeric with in it. Its become more good remedy for deep sleep. Turmeric milk has amino acid, tryptophan which helps you get a peaceful and deep sleep. Those who have sleep problems must drink a glass of hot turmeric milk daily half an hour before going to bed. Turmeric milk benefits the health as it stops the growth of breast, skin, lung, prostate, and colon cancer due to its anti-inflammatory properties. Blood impurities can lead to sever health problems. 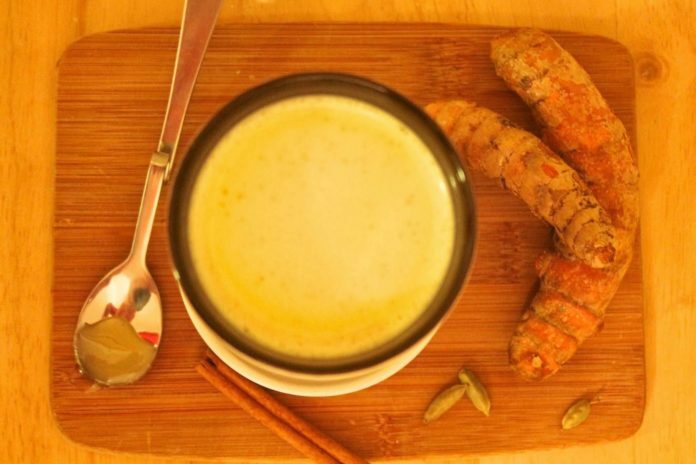 Turmeric milk is a great remedy to purify blood naturally. It revitalizes and boosts blood circulation in the body. This healthy drink also thins the blood which cleanses the lymphatic system and blood vessels from impurities. Basically Turmeric milk is ideally prepared with full-fat milk. But you also can use skimmed milk.Hot turmeric milk can be easily prepared at home. Heat one glass of milk on the stove. When the milk starts boiling, add 1 teaspoon of Turmeric Powder. Stir slowly to dissolve any lumps. Boil it almost 5-10 Minutes. Remove from heat and then add one tablespoon of honey to enhance its flavor. You can also use sugar its depend on your taste. Allow the hot turmeric milk to cool for a few minutes. Drink it while it warm. Now, You know the well known health benefits of hot turmeric milk. Drink this regular basis for overall good health.